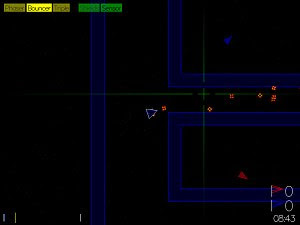 Bitfighter is a freeware shooter with some vector graphics that reminds us of the times when personal computers could only display this simple kind of visuals in monochromatic monitors. It’s the old-school charm brought back to our time in a fun arcade action game reminiscent of Asteroids. The added bonus is an editor that allows players to design their own levels and to share them with other Bitfighter fans. Bitfighter offers several game modes, from Control Zone to Capture the Flag, along with occasional tournaments held by the small but friendly community.